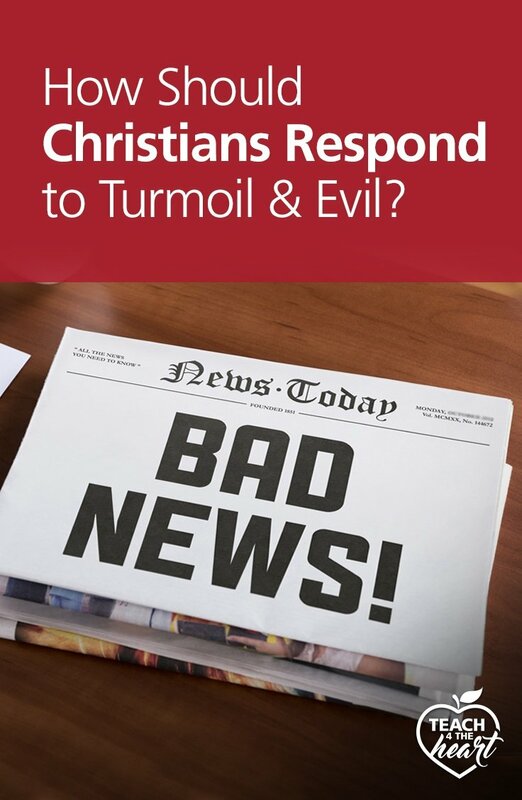 >> How Should Christians Respond to Turmoil & Evil in the World? Today, I want to talk to you about something that at first glance might not seem incredibly related to teaching, but I think it's important that we square these ideas in our own minds. Because if we don't, it can really affect the way we interact with our students. The question is, how should we, as Christians, respond to the turmoil and the evil that we see in the world? There is so much craziness around us from all different sources, right? There's the political sphere, social unrest, injustice, the craziness that goes on on social media that seems just stir that pot and make it even worse in some cases. Then, you've got kind of a more personal level where you see your students, your friends, your community, or even yourself going through these heartaches, and griefs, and these big challenges. In addition, we're seeing more and more sin and evil abounding. Where the Bible says, "They will call good evil and evil good," - that is happening. As we look around, it's easy to get discouraged and overwhelmed by all these things that we're seeing. The political issues, the individual heartaches, and then just this absolute confusion in our world about what is good and right and what is wrong. Sometimes we can get bogged down underneath all of this. It's important for us in our own minds to stop and reframe our thinking and figure out how should we be responding to all of this. That's the key right there, right? We need to be responding, not simply reacting. A reaction is what happens naturally. It's the first thing that pops in our mind. But a response is when we stop, we think, we reframe our thinking with biblical truth, we take it to God, and we come back, and we're ready to respond correctly. This impacts our classroom in a couple ways. Number one, it impacts our own demeanor. How we are doing mentally matters for our students. If we are stressed about something going on in the political sphere or a new article we read on our way to work, that will affect how we interact with our students. Also, depending on the age of your students, these types of issues and questions are going to come up. Now, if you're in a Christian school, you can talk directly with your students about all the things we're about to discuss here. But even if you're in a public school, while you can't specifically take them through the biblical steps, you, having the confidence in your mind about what is true is going to impact how you lead the discussions, It's going to take them on a different line than if you are also being swept away in all the craziness. Let's talk, first of all, about two wrong responses to the turmoil and evil in the world, and then what is the right response. They're kind of on opposite ends of the spectrum, so you'll probably find yourself resonating with one of these responses and probably not as much with the other, because we each tend to fall more on one side of the spectrum than the other. 1. The first wrong response is fear and franticness. Sometimes, when we come across an issue, whether it's a political issue, a matter where we see injustice or someone being treated unfairly, or simple evil, our response is fear. We're worried what's going to happen. We get all upset about it or even frantic. We think, "I have to fix this. We have to do something." Or we worry, "What's going to happen? This is not good. This is horrible. We have to fix this." We're going to talk about what to do about that fear and franticness in a minute, but first, let's talk about the wrong response on the opposite side of the spectrum. 2. The other wrong response, on the opposite side fo the spectrum, is withdrawal, apathy, or adapting. This response may say, "You know what? It's fine. I'm just going to go with the flow. We just need to adapt to the times,"
Or sometimes this approach takes the form of withdrawing from the battle. We're simply not going to engage with this. So while fear and franticness say, "We got to fix this," and it wants to jump in and find political solutions and just fix everything, apathy and adapting steps back and says, "I'm not going to engage," for one reason or the other. Sometimes the belief that God is in control can mistakenly lead us to the idea that we don't have to do anything. We are completely stepping back. We have nothing to do with this. But that is not a right application of the concept that God is in control. Other times it's an apathetic, "I just don't want to think about it. I can't handle it, so I'm just going to shut it off. I'm going to bury my head in the sand, pretend that it doesn't exist." Maybe it's buckling to the pressure. There is so much pressure to think a certain way or to go with this new initiative, so we say, "I guess I'm just going to go with it." 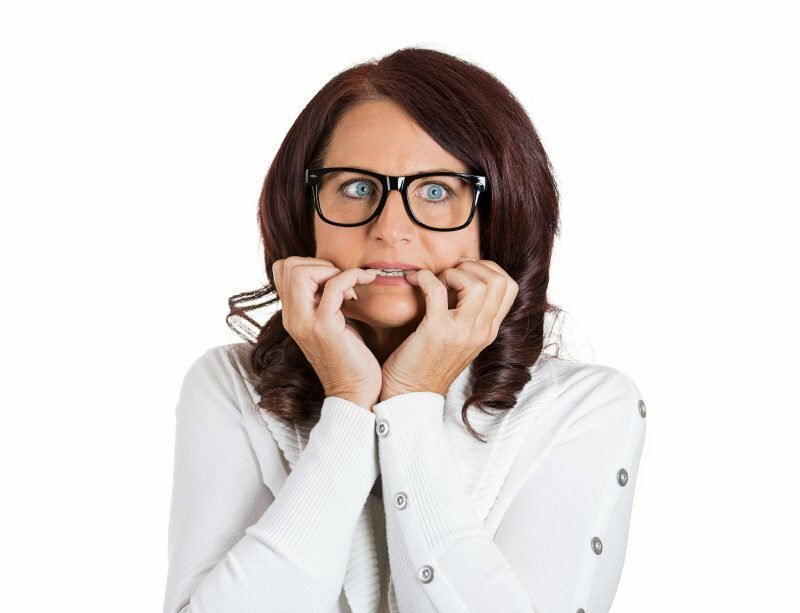 Do you tend to fall into fear, and franticness, and worry about it, or do you tend to withdrawal, and backup, and say, "I can't deal with this." 1. Remember that God is in control. This simple truth is the foundation of everything, and it totally transforms the way that we view these difficulties. Realize that nothing ever happens without it being under God's control. He's either chosen or allowed it for a purpose. It'snot as if this world is spinning out of control and it's taking God by surprise. It's not like He's looking down and wringing His hands wondering what he's going to do about it. So if God is not wringing His hands about it, we don't need to either. We can have faith and trust in Him. If we remember that God is in control, then that means, first of all, we can trust in Him. We do not need to be afraid. Any time we are afraid of something happening around us, we are either not remembering, not believing that God is in control or we're not trusting that God knows best. Or, to make it a little more personal, maybe we know that God is in control, but we don't like what He's doing. What we're really saying, "My way's better than God's." We have to trust in Him - not only that He is in control, but that we want what He wants more than our own agendas. Sometimes when we see this political upheaval, often what we're really upset about is this question of what's going to happen to us? We worry, "what if my life becomes less easy? What if I have to go through these difficulties that I see someone else going through? What if I come under fire for my faith, for standing up for the truth? What if the political system becomes less tolerant of Christians, right? What if we end up being persecuted?" Remembering that God is in control, we can trust in Him and not be afraid of the future. 3. Realize we don't have to fix everything. This truth also frees us from feeling that we have to fix everything. Sometimes, we can feel like it's on us to fix all of the world's problems, but it's not. Yes, God has called us to be salt and light and to make a difference. But, that does not mean that it's on us to fix all of sin's problems. Why? Because our world is under the curse of sin, and only One has the power to break that curse. Consider this....Both Christians and non-Christians alike long for a world where there is peace, unity, and justice - a utopian society. But, we as humans will never accomplish that. Never. Because of sin, because we are corrupt at our core, it's not going to happen until Christ, the King, comes and reigns, and He will fulfill all those desires. If you look through scripture, there's promise after promise of the King that will come, of the peace He will bring, of the justice and righteousness that He will reign with. When Christ reigns, that is what our world will be like. But, we are foolish when we think that we can arrive there without Him. He is the only way we would ever get to that point. So does that mean we have no responsibility? Absolutely not (more on that in a minute). But, we can't feel like we have to fix this in our human might, in our human ingenuity. We can't fix everything. We just can't. So, trusting in God, realizing that He is in control, that He has a plan, that His purposes are never going to be overrun, or destroyed, or put down, and that He cannot lose, should free us from feeling like it's all on us to come up with a solution to a problem that is so much bigger than us. But, we can't just stop there, right? What should we do? Remember, we said it's also wrong to just take this approach of, "I'm just completely withdrawing." It would be wrong to say, "God is in control, so I don't have to do anything." That's not what the Bible teaches at all. So what should we do? Let's tackle that next. When we see evil and turmoil, realizing that God is in control should drive us to prayer. 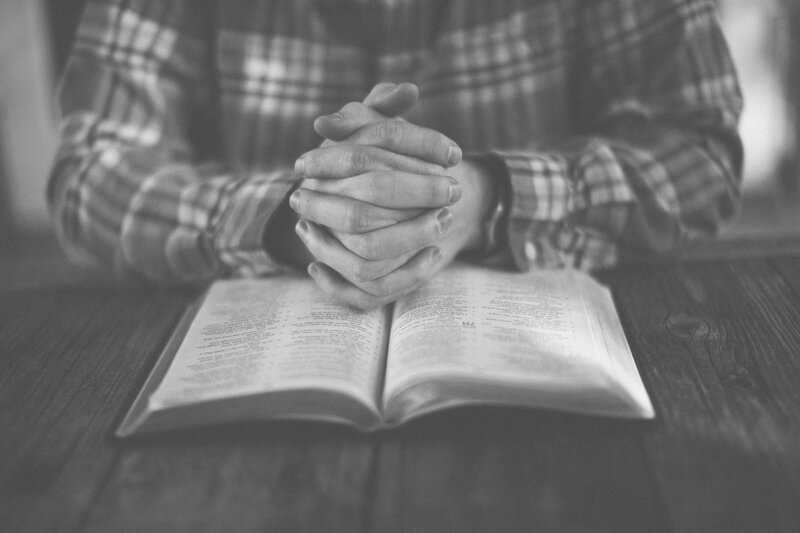 So often we view prayer as a last resort or like a last-ditch attempt. We don't really think that it works. But prayer is the way that we work with God. Prayer is powerful. When we see turmoil and evil, it should drive us to pray. To pray for the leaders that are involved in that situation, to pray for us that we'll know how to respond, and what we should do with the opportunities God gives us, and to pray that God would intervene. We should be praying, "God, intervene in this situation. God, send truth. Make truth apparent." Pray for God to intervene and pray, above all else right, for God's Kingdom, for His purposes to be established in and despite of all the turmoil. In our society today people make fun when people say "our thoughts and prayers are with you." They make light of it: "What good is that?" But, truly, our prayers are the most powerful weapon we have. I don't expect the world to understand that, but we as Christians can never forget that. We should absolutely be praying. That is the most important way we can engage in this battle. 5. Live according to God's precepts. We could go on, and on, and on about what all this includes. Certainly God has called us to love. He has called us to peace and to patience with those around us. He has called us to holiness and to righteous living. Regardless of what is happening around us, we can be a light, and we need to be a light, by living according to His precepts. Do we stay true to His precepts even when they are mocked by those around us? When everyone else is being nasty, do we stay kind, and patient, and long-suffering, and joyful amidst all of it? In an era where sin and evil abounds, do we succumb to pressure to discount God's word, or do we stand on its truths, believing them, living them out and obeying them? I cannot spell out for you what this looks like in your situation, but we should be looking to engage as God leads. Because we're only going to be effective as we engage where God wants us and in the way God wants us to. Otherwise, it is entirely possible that we jump in and do more harm than good. One thought on this, though, is to look for places where God has given you a voice and an opportunity. If your principal comes and asks you for your thoughts on this new policy regarding a certain issue, then that's an opportunity. You certainly shouldn't lie, right? You certainly should share the truth that you believe in a way that is going to be relevant to the situation. So be looking for ways to engage. Be looking for ways to make a difference, to stand for truth, to stand for justice, to help those, to be loving. Look for these opportunities and take them as God brings them on your way. Those are my thoughts, but I'll be honest that I'm still thinking all of this through. So I'd love to hear from you. Do you agree, or is there an area you'd push back on? Feel free to continue the discussion with a comment below. Finally, a recommendation. Consistently listening to solid Bible teaching helps refrain our thinking and allows us to respond better when challenges and turmoil arise. I highly recommend Truth for Life with Alistair Begg. You can search for the Truth for the Life podcast or visit truthforlife.org. Please give me scripture that states God is in control of everything on earth and allows things to happen for a purpose. This is an unbiblical belief that the church has wrongly adopted – maybe to release people from their sinful choices? Wherever people are yielding to God’s will (thy kingdom come, thy will be done), then God is given permission to rule and reign in that area of their lives. Wherever Jesus is Lord of someone’s life, then they are submitted to God’s will and receive the blessings accordingly. Where someone chooses the sinful “wide path”, God relinquishes control and gives them over to a “rebrobate mind”. God will NOT force His control on those that turn their backs on Him…including Christians that disobey God’s will. For example, if the Lord is speaking to someone’s heart, let’s say for example, to not drive down that road, but yet the Christian simply ignores that “check in their spirit”, then they have turned their heart away from God and allowed the enemy to ride in on that disobedience. Then if/when that person finds themself in a bad situation on that road (i.e. car surrounded by an angry mob), it is NOT God’s will for the evil to befall that person. 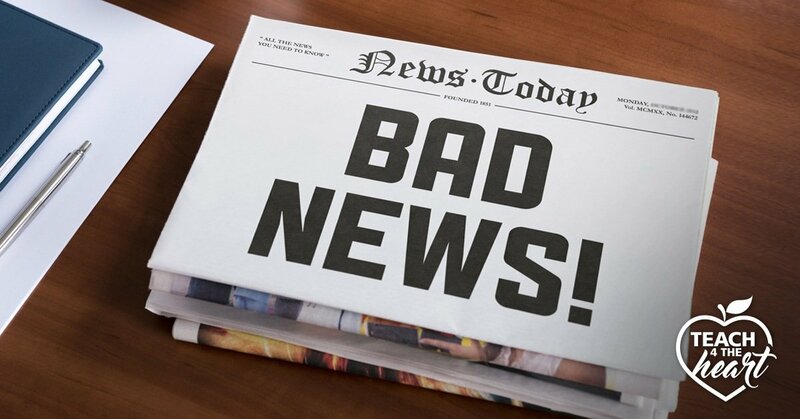 God was trying to warn them, but they shut Him out and the result was a negative consequence…NOT from the Lord, but from the pit of hell. God was NOT trying to teach that person a lesson. That is simply not scriptural. Also, God is a GOOD FATHER, better than any earthly father. What earthly father would want or cause evil to happen to their child in order to teach them a lesson or allow it in order to work something out in their child. That is simply not scriptural. God does NOT temp anyone to do evil, nor does it please Him (as our Heavenly Father) that evil may befall us. Evil befalls us IF we are out of God’s will. The evil in this world was NOT brought by God. God is not “in control” of everything that goes on on this earth. That is a lie from the pit of hell. To say that it is His will that evil comes near us to “teach us a lesson” is simply unscriptural. If we are abiding in and submitting our lives to God, then it is His pleasure to bless us. Choosing to follow after our flesh or the “wide path” of this world completely opens up our lives to the works of the devil. That is OUR CHOICE, NOT GOD’s! To clarify, this is not to say that God isn’t Sovereign. Of course He is. But, again, He has given us free will to choose Him (life) or Satan/flesh (death). He will not force us to choose either, but it is his WILL that ALL be saved. Why does evil happen in the world? Because satan is the ruler of it – the prince of the power of the air. But, we do not have to be subjected to it if we walk close to the Lord and LISTEN to His warnings. I pray that someday the church will stop blaming God for “allowing” evil to come to His children. That is NOT His will, nor is it scriptural. God richly bless you as you ponder what I’ve written. Well thought out and explained. Not that most of us don’t already know this. It’s just nice when others express the same Bible-based, Christian strategies. Thank you.